There have been a few reader requests for a basic eggless cake recipe after I posted eggless chocolate cake recipe. Yesterday, I was in a mood to bake and decided on Nita Mehta’s basic eggless vanilla cake recipe using curd. Very few ingredients go into its making, the main players being curd aka yogurt and oil. A simple, unassuming cake that has never failed me. 1 Preheat oven to 200 C for 10 mts. Grease and flour an 8″ inch baking pan. 2 Cream the sugar and yogurt until the sugar is completely dissolved. Add baking pwd and baking soda and combine. Leave aside for 3 mts. You will find that bubbles appear. 3 Add vegetable oil and vanilla essence and mix well. Now, slowly add little sifted flour/maida (about a tbsp) at a time and fold into the wet ingredients. 4 Bake in preheated oven at 200 degree C for 10 mts, reduce temperature to 175 and bake for 20-25 mts or till a toothpick inserted into the cake comes out clean. 5 Cool the cake for 20-30 mts and then overturn onto a plate. Note: To give a chocolate flavor to the cake, combine 1/2 tbsp of cocoa pwd to 1/4 cup of the basic cake batter and combined well. While pouring batter into pan, pour a tbsp of cocoa batter towards the edge of the pan and next to it pour a tbsp of white batter, followed by the cocoa batter. Follow this pattern till the first layer is done. Over this layer, pour the remaining white cake batter. If you want to frost the cake follow this vanilla butter icing recipe – Sieve 1 1/2 cups icing sugar and add to 1 1/4 cups white butter and beat until smooth using an electric beater. Add pinch of salt and 1 tsp vanilla essence and combine. Chill and and spread the icing all over the cake. love this cake………yummy!!!! please post a cake which we can make in pressure cooker. i don’t have oven…..
Mam, am a regular fan of your blog for the past 2 years. This is my first comment. All your recipes are awesome and mouthwatering.The cake looks gr8. Mam, can you post recipe for onion samosa? Lovely cake. Have never tried this kind of yogurt based cake before. Nice to see yours. Thanks! Yes, you can prepare in OTG. I baked this in an OTG. Place knob at ‘bake’ mode and follow the recipe. I have mentioned the required temperatures that the cake needs to be baked. The cake looks nice and spongy.I have never made a cake using yogurt..I make eggless cakes using condensed milk. Can I add orange / pineapple food colour instead of chocolate ? is it the same proportion of 1:1/4 of white batter:coloured batter.. Yes, Kalyani, you can. And its the same proportion. hey Sailu: Thx a ton for this easy to make and delicious recipe.. usually, the cake is devoured by my little one- but this time, even my mom and hubby (both who are choosy about compliments on food) also congratulated me 🙂 I made a slight variation too : slightly reduced the quantity of sugar and made a portion of brown sugar batter too – the result was a three coloured marble cake.. I wish I could have clicked a snap but it was devoured too soon before I could even frost it! thanks for this eggless and non-condensed milk cake! with out butter can we make the cake so spongy? please let me know about this. Yes, we are using oil in place of butter and the cake comes out soft. WOW…cake without eggs…mmm..looks lovely n delicious…yummie! Looks yummy and should be easy to bake with very few ingredients. The cake looks lovely…Beautiful !! The cake looks divine! 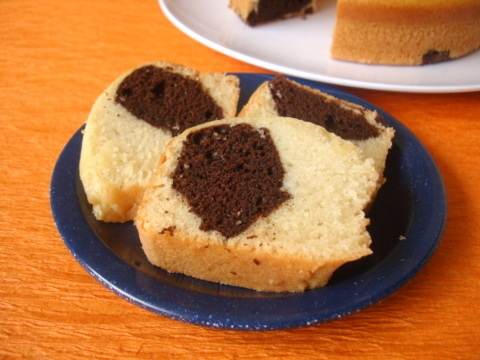 I have seen some bakeries call these black and white kind of cakes, marble cake. Will try out in a couple of days for sure. Thanks for the recipe. I tried this cake right away yday and I have to say its just so simple and comes out unbelievably moist and yummy. My only complaint was the 3/4 cup sugar didnt impart the sweetness it needed. It could be cos the American sugar is finer and less sweet than Indian sugar. So I would up that to 1 cup next time. And in the last 5 mins I noticed that the knife still came out with batter so I upped the temp to 400F in the last 5 mins. Also a note to other readers 200C=400F and 175C=350F. recipe looks easy surely going to try. i tried ur ZEBRA cake but it came out as marble cake & the upper crust was little hard. can u please help me to know what could be the reason. kindly reply. all ur recipes which i tried till this cake came out very well. this didnt. i tried it twice and both the times the cake puffed up while baking but after i removed from the oven the cake shrinked. i dont get the reason. is it because of the baking soda. i baked it for nearly 40 min at 200c and seeing it not cooked i kept it for another 10 min. can u tell me where i went wrong. i want to try it out as the ingredients are not fattening. I am sorry about the cake, Shailaja. You have to use good quality, fresh baking soda. You can test the baking pwd by dissolving a tsp of baking pwd in a cup of hot water and if a lot of bubbles form and rise, it’s in good condition. If not, replace it. Also do not over mix the batter the next time you prepare it. as asked before can u please answer my some of the doubts.my cake’s uppercurst normally comes bit dry & little hard?.the curd used in the cake is sour or sweet?.instead of soda can we use fruit salt?.please do reply. Sorry, I missed out on our query. You can use sour curd and not sweetened curd. Use soda and not fruit salt. When you find that the top of cake is browning fast during baking process, remove from oven, cover with aluminum foil and bake. thank you so very much, i will follow your instruction. by sweet curd i meant fresh curds. You can use fresh curd too, Chanda. I really wanted to make this cake but I have a doubt you gave the flour measure in cups. which cup you used and can you please let me know in grams it will be very helpful for me. I have done a post on Measuring Cups and Spoons, Rekha. You will find that helpful. very delicious cake. i always make eggless cake with milkmaid, I never made cake with curd, really it was very tasty. thanks 4 it. just help me, are sugar and icing sugar different or same. please help me. Sugar is granulated regular sugar. Icing sugar is a powdered form of sugar. dear mam, I asked you that sugar n icing sugar is samr or differ. please help me. Sugar is granulated white sugar and icing sugar is nothing but powdered sugar. You can make icing sugar at home by adding 1 tsp corn flour to 1 cup of white sugar and blend to make a fine powder. Home made curd is preferred and not flavored curd that is available in supermarkets. this is very nice recipe for a beginner like me who is new to baking, I have a query, why do you use baking soda and baking powder together, is it ok to use just baking powder? will it make a difference? Thank you in advance and congratulations for creating such a good food blog. Here we are using curd/buttermilk which acidic and hence its essential to use baking soda as a leavening agent, i.e to produce gas for the cake to rise. Hi,sailu garu thanks so much for this superb eggless cake. I got excellent result even in the pressure cooker also. plz tell me the ingredients in gms only. 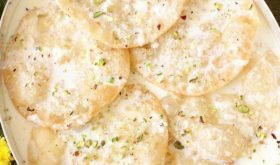 This is an excellent recipe Sailu. I was rather intrigued by the picture of your cake, but largely unsure about the result. I tried it with butter, and olive oil … both times I ended up with fabulous cakes that disappeared sooner than I would have thought! Thank you! I have never tried baking cupcakes with the above recipe. You could try baking for 12-15 mts. i tried them as cupcakes and they were really good………i baked them for 15 mins @ 180 degrees for first 5 mins and then reduced to 160 degrees. everybody especially my husband loved them.thanks a lot. Use fresh soda. Quality of cooking soda matters tremendously. Can I use soya bean curd in this receipe? Appreciate for your reply. Thank you. Sorry I missed your comment, Amelia. Yes, you can try soya bean curd. I have been looking for an eggless whole wheat cake recipe for ever and I think I am going to try this and get back to you! this site is owsome so much eggless recipes i can believe that being a child of 9 i would make so nice cake thank u for the eggless recipes mwhah!!!:-!!! Hi sailu, i baked this cake it was good but the center was little unbaked and moist even after browning of the cake and i live in a cold place where homemade yogurt is difficult so i made it with store bought yogurt but i found it very difficult to mix so what can i do to dilute the cake mixture?? and also can i increase the sugar amount by 1/4 cup will it make a big difference? Usually when you live in high altitude area, this problem arises. Next time, reduce the temp of oven by 25 degrees and baking for an extra 15 mts. Follow the sugar quantity as per the recipe. No need to increase the quantity of sugar. Add a few tbsps of curd to dilute it a bit. I tried this cake today and it turned out great. I tried making the EggLess cake from your recipe and it came out really well. First time I made it plain, and the next time I tried it with walnuts and raisins. I microwave the slice of the cake for 10 secs before eating and its tastes so yummy and soft!! Thank you very much for such a wonderful and easy recipe 🙂 My whole family loved it. Any help would be great!! thanks!! I really don’t know where it went wrong. If you follow the recipe to the T, you should have a great tasting cake. Sorry about it. Maybe you should try changing the brand of all purpose flour the next time you bake. You will have to mix till the sugar is dissolved in the curd. You can powder the sugar to ensure easy mixing. You can put the entire chocolate layer first and then pour the white batter over it. For that you have to divide the batter equally and then mix cocoa powder in half of the white batter. I have a couple of questions in baking the cakes. 1)What is the PAN you use to bake the cakes in Oven(convection), is it Glass Ware or some specific PAN? Can you pls let me know where i can buy this PAN(Microwave safe PAN). 2)I have bought a vessel in which we can bake Cake on Gas stove. It will have a base plate, where we have to fill the sand and the top vessel which we will place it on Base plate. Are you aware of it? I tried baking the cake in it, half of the care was burnt !! Would you recommend using cake flour for this recipe? Yes, you can use cake flour. You will have to increase the amount of cake flour used. To substitute 1 1/2 cups of all purpose flour, use 1 1/2 cups of cake flour plus 3 tbsps of cake flour. Hope this helps. This is the first time I baked a cake and made it as muffins and I am impressed. Sailu,thanks for a wonderful eggless cake recipe,made it for my daughters’ first b’day,came out awesome.This recipe is keeper. hi.. first attempt to try out from this site.. but unfortunate it failed and dont know what was wrong.. followed exactly the same. Thank you for posting this recipe. I’ve been requested to make a 1 year old birthday cake this Saturday and she is allergic to eggs. Did a test run today and it turned out beautiful! Thanks so much! Hi, I loved this recipe. Added and changed a few minor things…but the basic recipe is excellent!! Hi, The cake raised in 300. My ovn temperature is just right when I try other stuff like fries etc as per instruction. so wat cud b wrong? You have to use best quality and fresh baking pwd and use precise measurements. 200 C is baking temperature. I looked at your eggless cake recipe yesterday and decided to make it for my daughter. I am in US and she has severe allergies to eggs. But she loves cakes/cookies and chinese food etc. 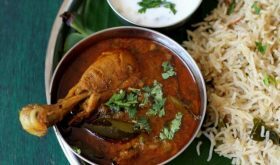 US being a mostly non-veg eating population does not have much interest in eggless recipes and so most I tried here turned out to be inedible. Even if I buy from some stores that will make it for her are not that good and they are filled with chemicals. The cake I made last night tasted good and its awesome. Just amazing. Everybody in the family loved it. I am going to try the indo chinese recipes as well this weekend. I am also going to try some modifications well – some banana, chocolate chips, pineapple chunks, coconut peices etc all separately. Will let you know. Thanks a ton for the good work. Keep it up. excellent recipe…cake turned out awesome…five stars..
hi i did it with leftover whey from homemade cottage cheese,it came out very good.but i don’t know why whenever i do it with homemade yogurt it doesn’t come as good as that one.Anyway thanks for the recipe. Can you pl tell me if this can be steam cooked in a pressure cooker.. I dont have an oven at home but have induction cooker which has temp control. But I could not make out what to do in place of your 1st instruction where you ask to ‘preheat’. You cannot steam cook in a pressure cooker. You can use a pressure cooker to cook the cake using sand. 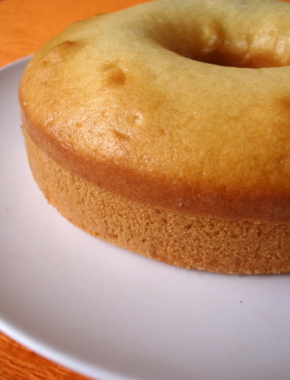 See my post on cooking cake in a pressure cooker for more details. Sailu, I am a great fan of your site and i simply love the way you expain things. I want to bake a cake double in size, do I need to double the baking time also. Please help. Lakshmi, you do not have to double the time. Same baking time. When you insert a knife in the cake and if it comes through clean without any batter sticking to it, then the cake is done. But if you find batter sticks to the knife, let it bake for 8-10 mts more than the suggested baking time. It took extra 15mins and though the cake taste good, texture is good, I can smell the oil, so do I need to add extra vanilla essence (I added 1tsp as mentioned)? Use an odorless vegetable oil. Yes, you can increase vanilla essence by 1/2 tsp. Can I bake this cake without vanilla essence. I don’t have any essence right now at home and in the mood of baking cake….will the cake taste good without essence? If you do not have essence, add 1/4 tsp cardamom powder. this is one of my fav recipe. have been using curd since very long. so glad someone who knows baking and has a blog is posting this recipe. i have been trying some variation in vain. can u help me? i wish to add fanta to it. do i substitute it with some curd or oil? and how much? Lovely recipe :), but I have few queries- I have a convec microwave, whenever i made cake it turns into cookie :(, I have heard that using the convection mode is a better option to make cake in a microwave. I have used the microwave mode for making cake and never got a successful one. If I want to do this cake in microwave, what will be the preheating and cooking time? Pls guide. I have never baked in a MW so cannot answer your query. I have baked cakes in a MW many times..yes choose the convection option and then do the preheating and baking like a normal oven..preheat for 10 mins..and then bake for 35mins on 200degrees..but the wattage of your oven does affect..mine has the highest of 900 degress..hope it helps!! I use convection oven and I normally bake my cake for 30 mins in convection mood. Then 10-15 mins in a combination mood of grill and oven. Just make sure you use the rack provided along the oven. Mine’s in the oven. 🙂 Thanks for the recipe. The cake turned out beautifully, moist, light, and with a fine texture and lovely color. This is the best eggless cake recipe I’ve tried! I made a few changes, using half melted butter and half canola oil, adding grated lemon peel, and dropping some frozen raspberries on top. Thank you so much for the recipe and your blog. I’ll be making this cake again soon and can’t wait to try the other recipes. how can we cook cake in preesure cooker…??? Hi Sailu, the cake looks excellent! I want to try this out but have a few queries as I am a newbie in baking. 1. If i use powdered sugar, will the measurement change or is it still 3/4th cup? 2. Can I use the same measurement cup for both liquid and flour? You can use 1 cup of powdered sugar and you can use the same measurement cup for both liquid and flour. My first cake which was a fruit cake was a big flop (I used a recipe from someone’s blog and followed too truthfully…but the cake was burnt I think). This was my second cake and even before I could take a bite my husband finished half of it! Thanks the method was very simple. Even thought my hubby likes it, I didn’t like the baking smell…I used to think it was egg’s smell but now that I havent used any egg…is it the vanilla’s smell or the flour…I’m not sure. It is not the sweet smell that I get from indian bakery stores…I’m new to baking so may be I’ll leanr what it is soon. But you are super!! thanks a ton for making my cake a success. lovely looking cake, must be delicious. Can you please post the pan you used for this recipe. very easy receipe. I am going to try. How many days this cake can be stored and consumed. 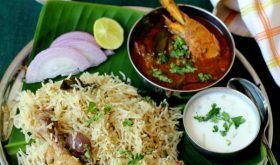 awesome blog with awesome recipes………kudos! what can i subs the curd with? Hi, I tried this recipe for the first time today…It was not that good..:(( the reason I used Wheat Flour instead of maida and the oil taste was not good…Can u write down some recipe with wheat flour, I guess its more healthy !! I tried day before yesterday in a counter top Hamilton Beach oven and I set it in Convection mode baked for 30 mnts with 350F and it came out very well. My husband who is not fond of cakes had this cake and liked it too. Going to prepare on my son’s second birthday. This recipe for Eggless cake using curd is so amazing and yet simple to make .. love the texture of the cake and i have added my own variants to it like Raspberry, Chocolate, Mango and Orange : ) ..Yummmmmmmmyyyyyyyy!!!!!! But just a small suggestion .. in Step 4 it says, “..Blend with wet ingredients.” The first time i made it, i actually used a blender to mix… the cake did not rise at all…but the next time i only gently folded the dough into the wet ingredients… Amazing result!! the softest, yummiest cake ever!!! Thanks a lott for posting the recipe…Many times I have followed some of your recipes but never stopped by to write a comment….but for this cake..i could not ignore writing…I have been searching for a cake recipe with no eggs…and should accept that ur recipe is flawless (atleast for me as I cannot find iyenger bakery cakes like in India)….I have added some almonds and blueberries too which turned out too good. Now on I need not crave for cakes (I don’t eat cakes from stores bcos they add eggs). can I use butter instead of oil? lovely recipe could you please tell me what sugar did you use and also i would like to kno what flour have you used is it self raising. I used white granulated sugar and maida. I made the eggless cake recipe with the chocolate addition in it.It did turn out good but it was kind of dense.is there a way to make it more fluffy?also I used brown sugar (powdered) which was 3/4th cup.should I add more sugar?or is there something else I need to change/do? Try using powdered white sugar. And you have to keep in mind it is not a very dense cake. ps-I served with a drizzle of raspberry sauce-so great! It was the best cake i have ever made. Hi Nice recipe…I don’t have Curd so can i use the Amul Fresh Cream in place of curd ? I also want to know in this cake, how u put that Brown Chocolate in between the cake…what is the technique ? Hi , My cake is not raised…..So what can i do next time? 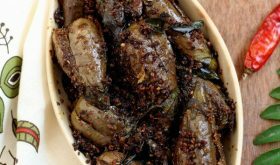 Shailu, I cannot thank you enough for this recipe. My son is allergic to eggs. I have tried various recipes but this one is by far the best. I love the texture as most cakes I bake without eggs crumble easily. Thank you so much for making my son happy! Keep up the good work! Sailu… I must say i was going crazy looking for the perfect egg less cake recipe. Tried quite a few … but when i tried your recipe, i immediately knew that i don’t have to look any more. The cake was just perfect. I made tiramisu with it. Everyone who had it said it was very delicious. Many thanks to you for sharing this recipe. Great cake! Can you please tell me what the consistency is of the yoghurt? Thick greek (set) yoghurt, or think but runny yoghurt? Thanks! Hi, I came across this post while looking for healthy cakes. Thanks so much for such a great recipe! I made it for my parents and they loved the cake. I used applesauce instead of oil and it was still just as wonderful. Dear Shailu, can you please let me know what consistency is of the yoghurt you used, thick, but runny or set yoghurt like greek yoghurt? Thanks! You can use slightly thick (bit runny) yogurt. You can even use set yogurt. I just turned this cake recipe into cupcakes to satisfy a craving and I’m blown away by the result! Amazing, because I don’t really like eggs in oil based cakes. I also sprinkled some strawberry pieces on the batter for good measure. The house now smells like heaven. Why my cake was most and soft from center but hard like rock from sides? Only middle part was perfect. I tried 2-3 times and every time, it gets harder from sides. Also, I felt it doesn’t keep the moistness once it cools down. Appreciate your help. Thank you for giving such a nice recipe of eggless cake. Really it cums out very nice..
Dear, can we use full cream milk instead of yogurt ? Sour cream would be better. I tried this recipe today and the result is awesome. This is the best recipe for an Egg-less Cake ever !! Period. 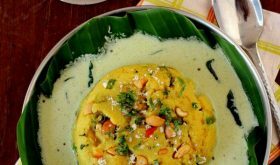 I wanted to know if curd can be used as the best substitute for eggs in all cakes/desserts recipes..
Also, can you please post more versions of different cuisines in vegetarian style.. ?! Excellent recipe I tried it yesterday and got so many compliments thank u so much…..
Cake looks yummy….want to try for my son. But is it possible to make it in a microwave rather than an oven ….? OTG is best but you can also bake in an MW. Place batter in an oven + microwave safe silicon dish. Bake in microwave mode for 3 minutes followed by grill mode at 180 c for 4 minutes. Leave the dish in the microwave for another 5 minutes. Please not that MW timings differ according to wattage. You will have to figure about how much time your MW takes to bake the cake by trial and error. 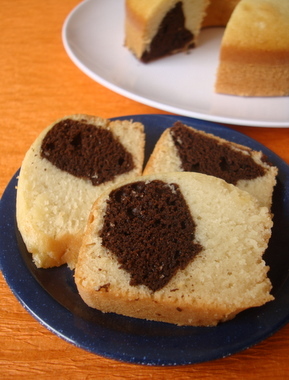 Wonderful recipe……cake was so smooth than i expected…. I made it for my daughter ,s birthday party……and it was supper hit. I made it with chocolate.Thanks a lot for recipe. Nobody believe it’s eggless. i follow your recipe to the T…also if i want to have a bigger cake can I double the ingredients…pls reply soon!!! Awesome recipe! Thank u soooooo much for posting this! I baked it today and the cake is over already…everyone loved it! Two thumbs up! An absolutely delightful recipe. I made 12 cup cakes with 1/2 cup brown sugar and quarter cup white sugar and baked them for 17 mins. This was one successful eggless recipe considering it my first encounter with eggless baking. Am looking forward to playing with flavours since I need to cater to some egg free requirements. Note, I followed one of the reviews and ensured to mix the flour very delicately and did not use the hand mixer. HI, I wanted to know if all mixing and creaming was done using a hand whisk or machine?? How much cocoa do i add to make this cake fully chocolate? I have experimented with several Pinterest pins of eggless cake recipes. Reviews like ” The best cake I’ve had made ” to “just like how my mother used to make it” had been all very convincing, but ALL HAD FAILED ME. However, i gave it another shot today, and this recipe is absolutely the best recipe that i have made and tasted. It was so spongy and moist! I paired it with a velvety hazelnut mocha buttercream which i had got several compliments on. Thank you for you post, you have rebuilt my trust in Pinterest pins lol. h the same recipe, but I am getting the smell.. First time it came properly.. after that i am not getting the cake properly.. its raising properly but getting some smell.. i changed baking soda.. even after that I am getting the smell.. i sm not able to figure out the issue.. Items used in my cake..
2 cups maida, 1 cup sugar, 2 spoons ghee, half spoon baking soda, 1 spoon vanilla essence, 4 spoons yogurt.. Please help me to resolve the issue..
Reduce baking soda by 1/4th tsp. Add 1 1/2 tbsps of lemon juice along with baking soda. You can add a pinch of grated nutmeg.